there were frozen yogurt shops! Oh how I loved my frozen yogurt! My friends and I spent so much time at the frozen yogurt shops. I love the packaging..it is bright and cheerful...but I love what is inside even more! I am THRILLED frozen yogurt is making a comeback. 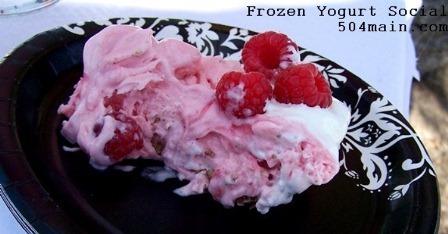 You don't need to go out for frozen yogurt. 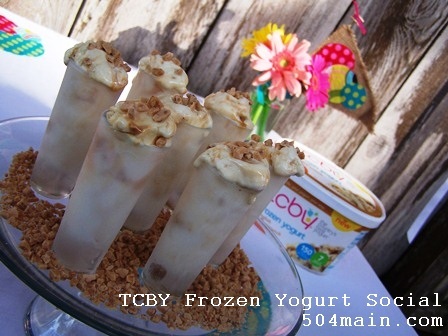 TCBY brings it to you...right in your home! 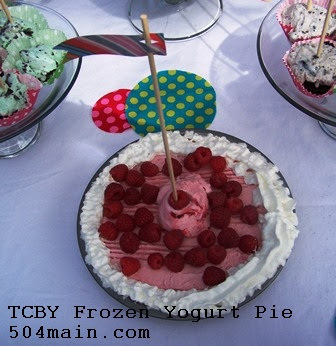 Simply perfect, TCBY Strawberry Swirl Frozen Yogurt in a waffle bowl with fresh fruit! and then throw a party! 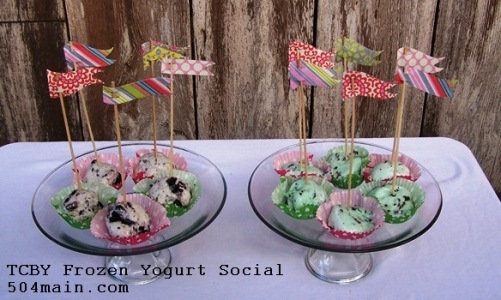 Place a cookie in a cupcake liner in a cupcake tray; Place one scoop of frozen yogurt on top; freezer; remove from freezer for about 5-10 minutes prior to serving! 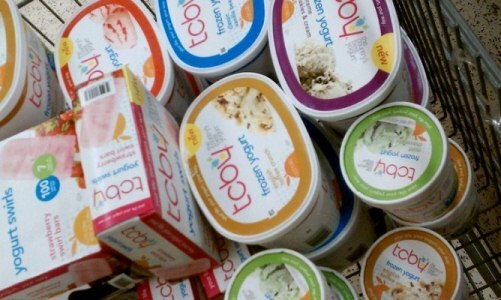 to buy some TCBY frozen yogurt. My helper did not let me forget one thing! 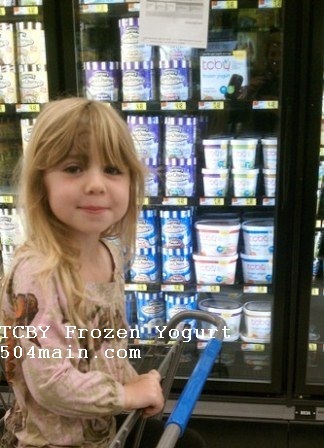 I almost squealed when I saw the TCBY in the freezer! TCBY has some other amazing flavors available. 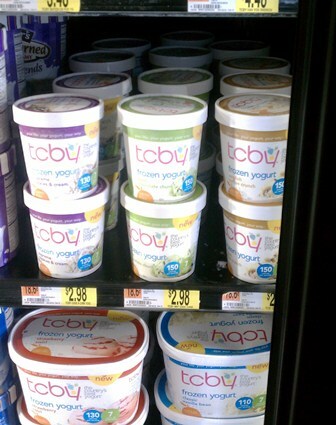 The Walmart I shopped at did not have all of the TCBY flavors. I look forward to trying more as they become available at this store. I cannot wait to try the Orange and Vanilla Bars myself! Some of my favorite all-time flavors! Pints and quart sizes to accommodate parties of all sizes! I got a few of each. Then I spied them...the Chocolate Fudge Bars and the Strawberry Swirl Bars - a perfect low calorie treat for when the kids are asking (and they are always asking) or I need a little something sweet! 80 calories of sweetness and a sweet smile! It is full of TCBY. I was the envy of so many shoppers! The cashier asked if she could come to my party. we had to try the frozen yogurt. It was necessary (of course!). than ice cream...oh my! My family is hooked! We all sampled the various flavors and then picked our faves! I am a Classic Vanilla Bean gal! The best way to experience the amazing flavor...served simply in a waffle cup! in her preschool class and the parents too. yes, it has been chilly here but the sun was shining on this party! 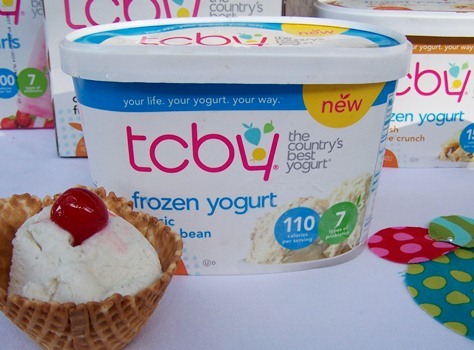 I though the bright colors went so well with the TCBY packaging. 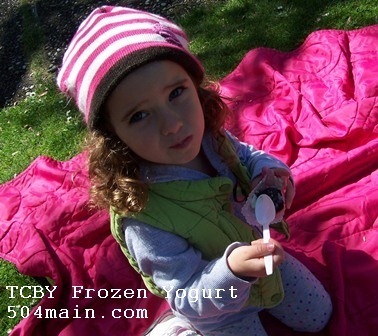 It was "TCBY Frozen Yogurt Palooza" at the park that day! I wanted to make sure the kids were happy and the adults were satisfied and that we all had the chance to try the flavors and varieties of frozen yogurt available. The kids were so patient as they watched me set up (and so were the parents). Strawberry Swirl and Chocolate Fudge! I cannot wait to try the Orange and Vanilla Bars. I was a popular Mom that day! I enjoyed being able to share this treat with the class. the flavors should be the star, as they deserve to be! A few simple toppings...the kids love toppings! I also decided to try to make some fun treats! The whole pie...topped with whipped cream and fresh raspberries. 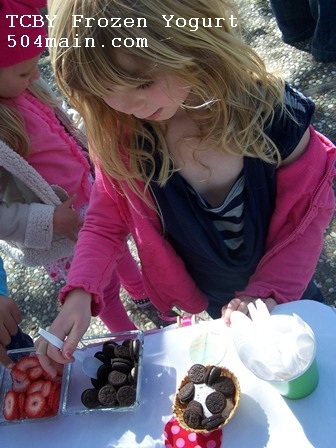 the kids #1 choice was the bars - Strawberry Swirl was the hit. 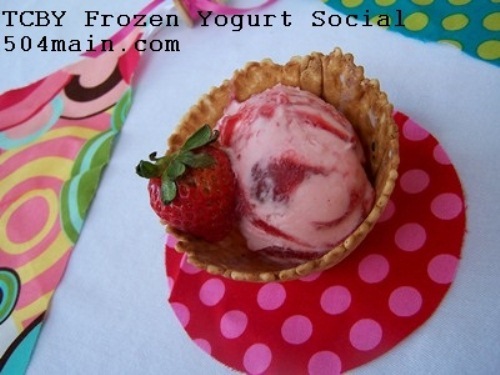 And so was the Strawberry Swirl Frozen Yogurt. Look at those swirls and ribbons of Strawberry. So pretty! 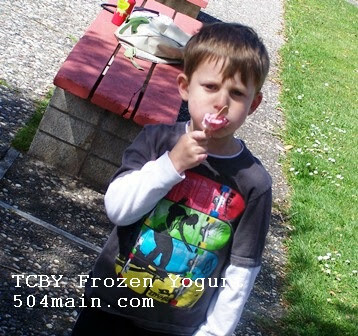 All the kids came back for a taste of the "cupcakes"
The parents enjoyed the TCBY frozen yogurt a lot too. "Are you sure this is frozen yogurt?" It tasted so creamy and yummy no one believed it was frozen yogurt! 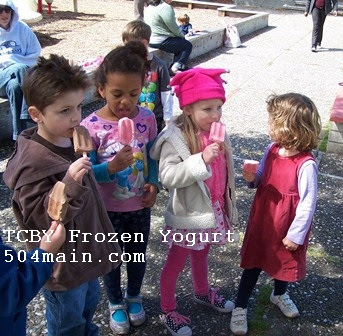 TCBY has gained some new fans and made some "old" fans happy! I could not have a party with some decor, right? the wind, keeping the frozen yogurt cold, etc...but it was worth it! 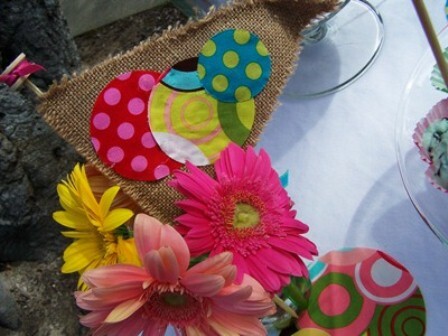 I decorated in some bright and happy and very Springy colors. It has been dreary here but we had a beautiful sunny day. 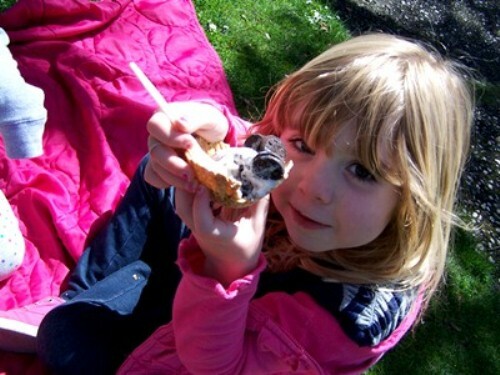 Frozen Yogurt + Sunshine = Happy! 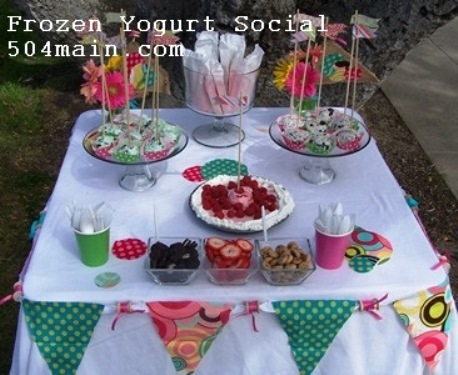 The TCBY Frozen Yogurt Table! Frozen Yogurt Cupcakes in Mint Chocolate Chunk and Supreme Cookies and Cream, Strawberry Swirl Frozen Yogurt Pie, and a big container of Chocolate Fudge and Strawberry Swirl Bars. 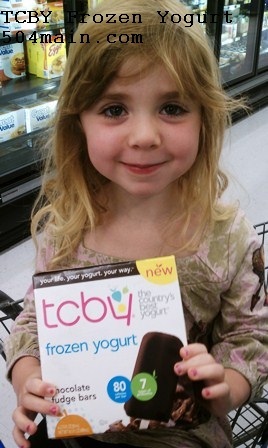 Everyone was excited to try the #TCBYGrocery treats and learn about this new product. What a fun way to spend a day in the park with sweet kids and awesome parents! 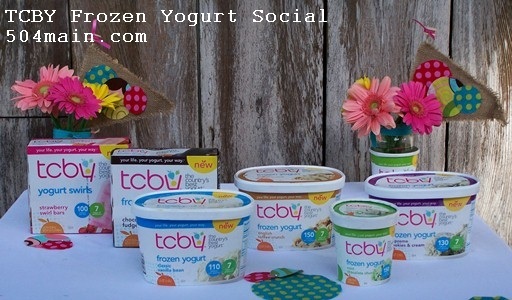 Be sure to Follow TCBY on Twitter and Facebook! 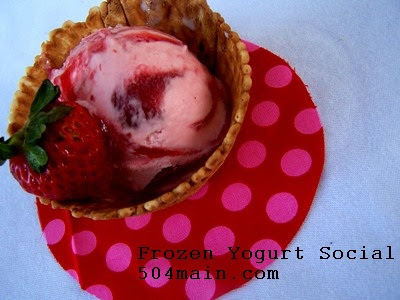 How do you like to eat your frozen yogurt? I love those little flags! What a great idea! When I was in junior high, TCBY was a very popular spot to hang out on Friday nights after hometown football games... this post brought back fond memories! What a great party! So bright and colorful! Oh goodness, this could be dangerous! Your daughter is gorgeous and they look like they are having so much fun! 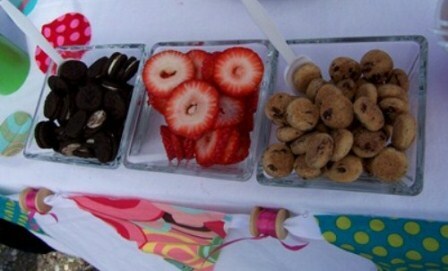 OOh looks so yummy! I can't wait to go try some! *I have a give-away going on right now and would love for you to enter! Everything looks so incredibly yummy!!! I hope my local Walmart will carry these soon. 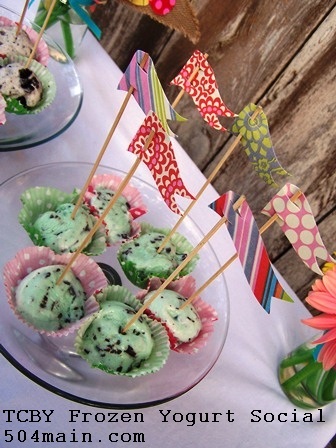 Your ice cream social looks like an amazing time. Wish I could have been there. very adorable and that baby girl is precious! 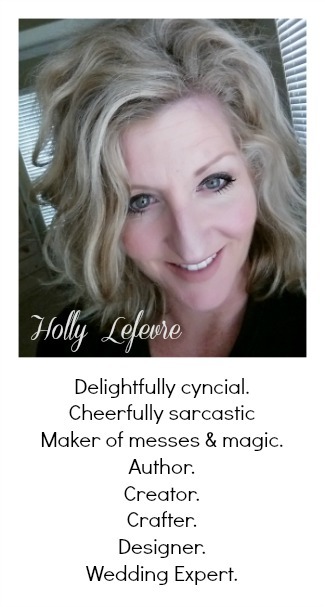 I love your banner with the circle cut outs...may try that little twist. 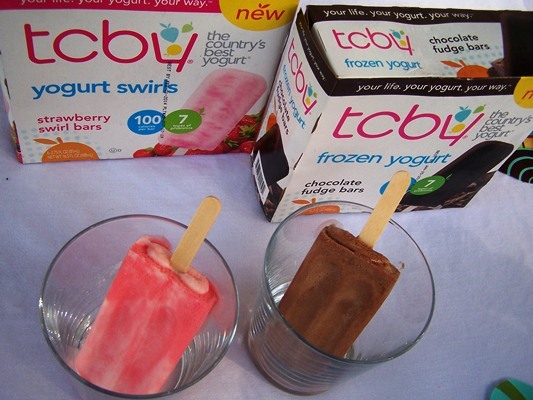 ZOMG...now I wish that there was a TCBY or a Walmart near me! San Francisco is a great place but sometimes I wish they had space for big stores haha. 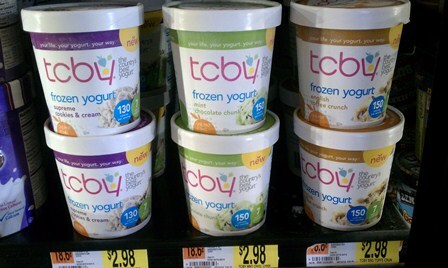 you kind of just changed my life -m I had NO IDEA I could buy TCBY in a store! p.s. 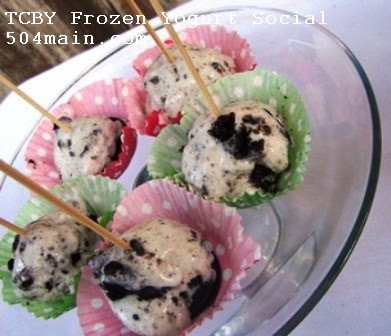 thanks for linking up with our FB follow friday - love your blog :). SO CUTE!!! I love all your party ideas and the decorations are fabulous!! Oh my gosh! I LOVE what you did with the English Toffee Crunch! Everything looks amazing!